Already a member click here to view all 34 results. This property is a flat. It is located in Rainham in havering-greater-london and has 1 bedroom. and is disabled adapted. We have a lovely 3 bed end of terrace home, close to good schools, lovely neighbours. Off road and doesn't feel line we are on an estate at all. Very quiet! We are looking for a 4/3 bed home in Devon, Cornwall and are open about areas. Style, decor etc not important to us. This property is a maisonette. It is located in Rainham in havering-greater-london and has 1 bedroom. and is disabled adapted.
. It is located in Rainham in havering-greater-london and has 1 bedroom. This property is a semi detached house. It is located in Rainham in havering-greater-london and has 3 bedrooms. This property has a garden, loft storage and is disabled adapted. I have a 3 bed house in rainham, literally 5 minute walk to Elm Park train station. Close to primary and secondary schools. Driveway, garden, large loft. 2 toilets. 2 double bedrooms and a single. Wood Lane medical centre at the end of the road. Bus stops round the corner. Im looking for serious swappers to exchange my 2 double bedroom, lower maisonette with front/back garden.2 min walk to Plaistow station, 10 mins on bus to Stratford. Primary/secondary schools within short walking distance. Doctors/dentist 2 min walk. Residental permit parking (first permit free from council). Im looking for Rainham or surrounding areas, must have garden and parking. This property is a flat. It is located in Rainham in havering-greater-london and has 2 bedrooms. and it also has parking outside. This property is a terraced house. It is located in Lakeside in essex and has 3 bedrooms. , loft storage and it also has parking outside. This property is a flat. It is located in Chatham in kent and has 2 bedrooms. and it also has parking outside. This property is a detached house. It is located in Rainham in havering-greater-london and has 3 bedrooms. , loft storage This property has a driveway for parking vehicles and it also has parking outside. 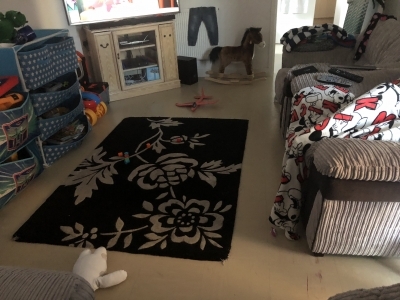 Hi I currently live in a 2 large double bedroom flat with my daughter in rainham Essex however we are looking to love to a two bedroom house or flat in Colchester area will need to be a council property as will have to be a straight exchange between the two.